Selden Spray and Wipe is a rapid action, efficient cleaner for use on all non-porous surfaces. 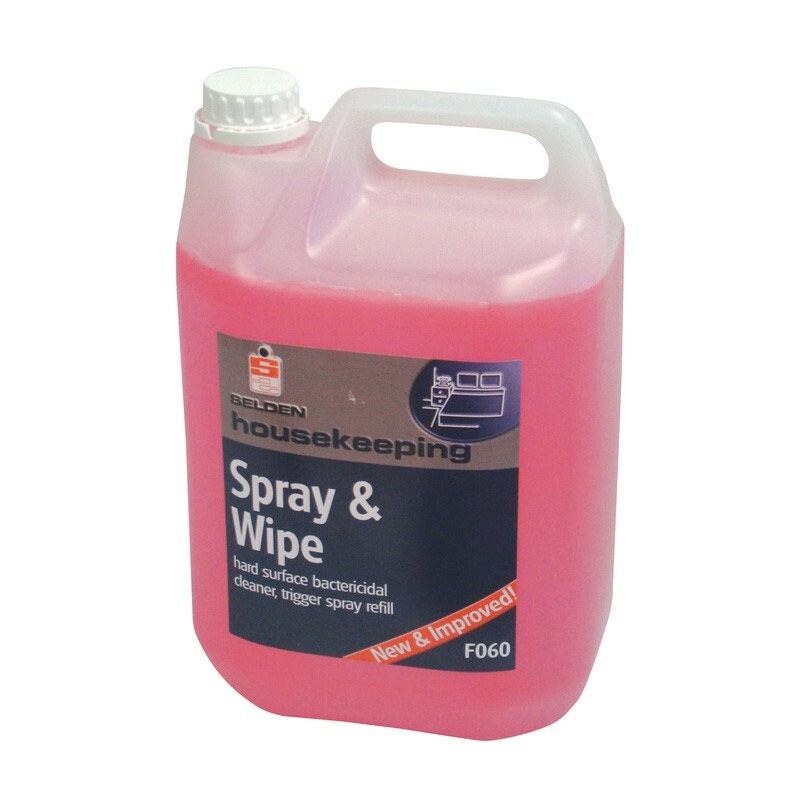 The product sanitises as it cleans, containing an advanced quaternary biocide. Selden Spray and Wipe is a pleasant smelling cleaner that freshens as it cleans. Kills both E.coli and MRSA. Has a pleasant floral perfume. Contains a pH of 11.0. Also available in smaller 750ml trigger sprays. Spray onto the desired surface as required and wipe off with a clean cloth or paper towel.